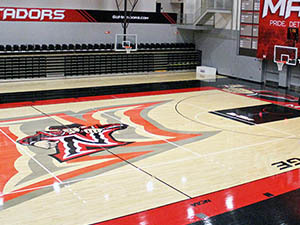 The Matadome had a facelift over the summer of 2012, and aside from the praise its gotten from CSUN players and coaches since, the stadium recently received a more widespread accolade. 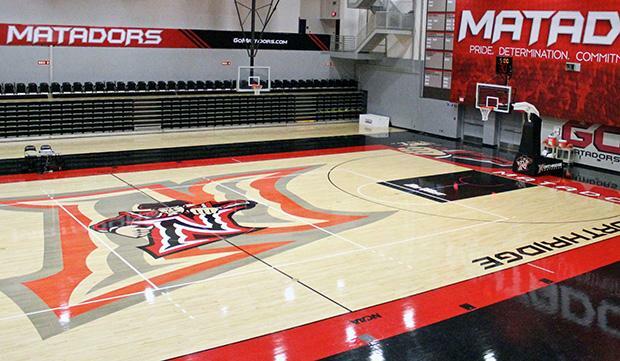 Bleacher Report, a popular sports website, ranked the CSUN Matadome number two in a June post titled “Ranking the 20 Best Court Designs in College Basketball.” CSUN’s facility beat out other notable schools such as UCLA, Notre Dame and Gonzaga. 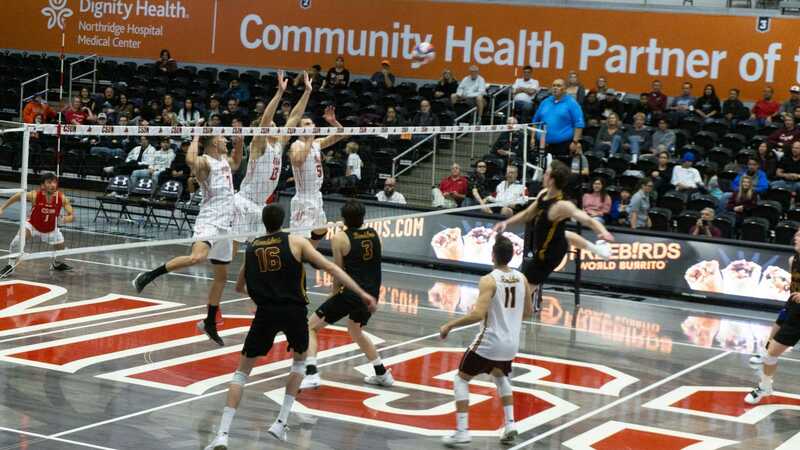 Long Beach State has the number-one court design, according to the article. 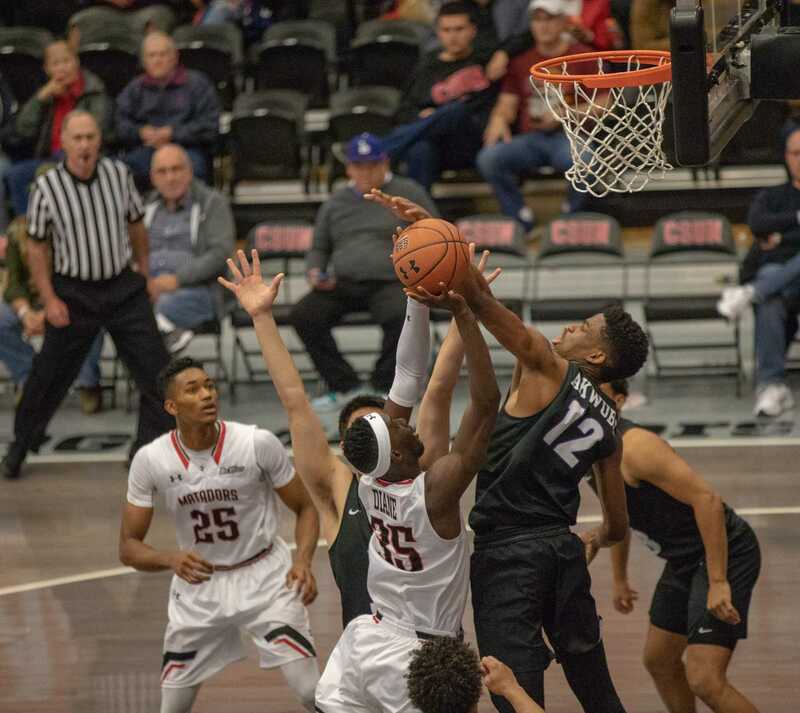 Vazquez said the ranking could have a positive effect on those wanting to play for a CSUN team. The new court was made possible by the students passing a referendum which allowed tuition to be increased in order to fund several projects, the Matadome update being one of them, Vazquez said. “This whole court and the way it looks now and how good it looks now, you have to give thanks to the students who passed this referendum that allowed us to have the money to do this,” Vazquez said. According to Vazquez, the women’s volleyball team was the first to play on the new floor. Vazquez called the renovation a “win-win” for the men’s and women’s basketball and volleyball programs. “I think it really picked up the enthusiasm and the positive attitude for the athletes,” Vazquez said. Ken Rosenthal, associate vice president of facilities development and operations, spearheaded the project. He said the process took about 70 days and cost roughly $270,000. Rosenthal said the need for instant replay functionality prompted the replacement of the entire floor. The seats of the stadium and electronic infrastructure underneath the hardwood were also replaced. 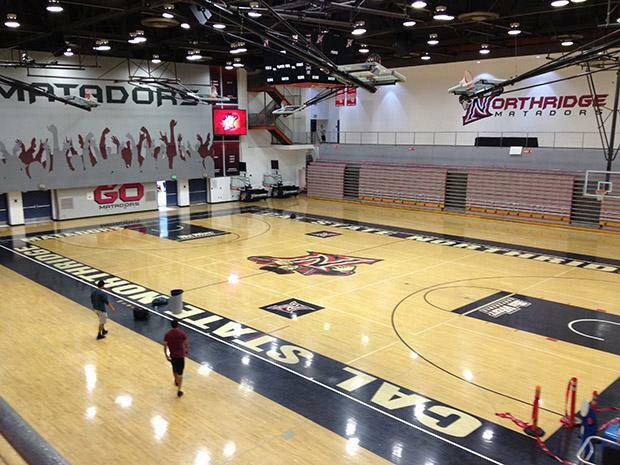 This photo was taken in the spring of 2012 right before the Matadome underwent renovations. The entire project cost the university roughly $270,000 and it was the first major floor change since 1996. Photo courtesy of Ken Rosenthal. The “N” at center court had to tested on a small scale before being approved, Rosenthal said. The floor in room 251 of Redwood Hall was sanded down and a miniature version of the stencil was placed on it before graduating to the 94-by-50 court. Rosenthal collaborated with the coaching staffs involved in the project. 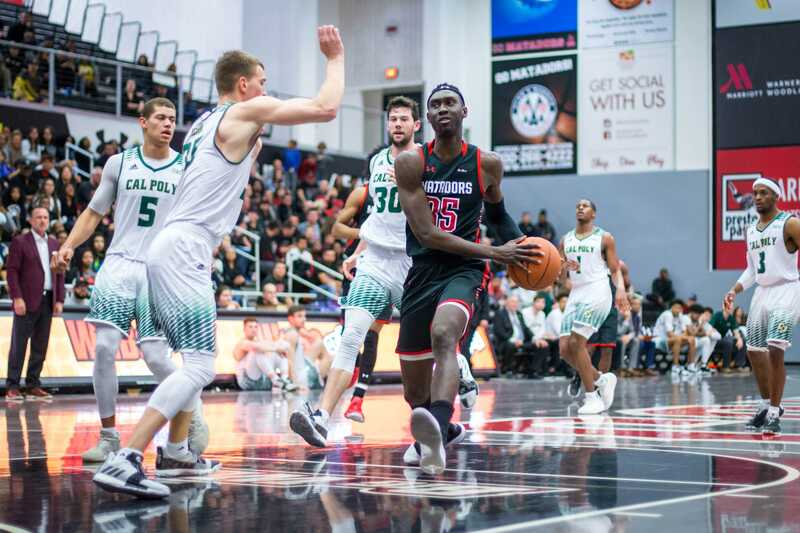 “One of the goals that the coaches really wanted is they wanted to make sure that the floor was going to kind of represent where they wanted to take the program,” Rosenthal said. 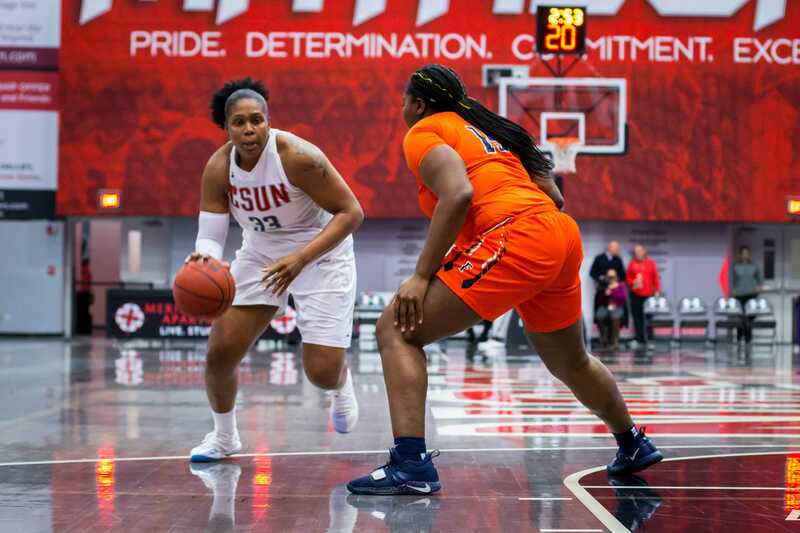 Jason Flowers, head coach of the women’s basketball team, felt CSUN got snubbed on the ranking of their gym, but is happy that the school is being noticed. Flowers was on the team of people collaborating on design ideas for the new Matadome floor. 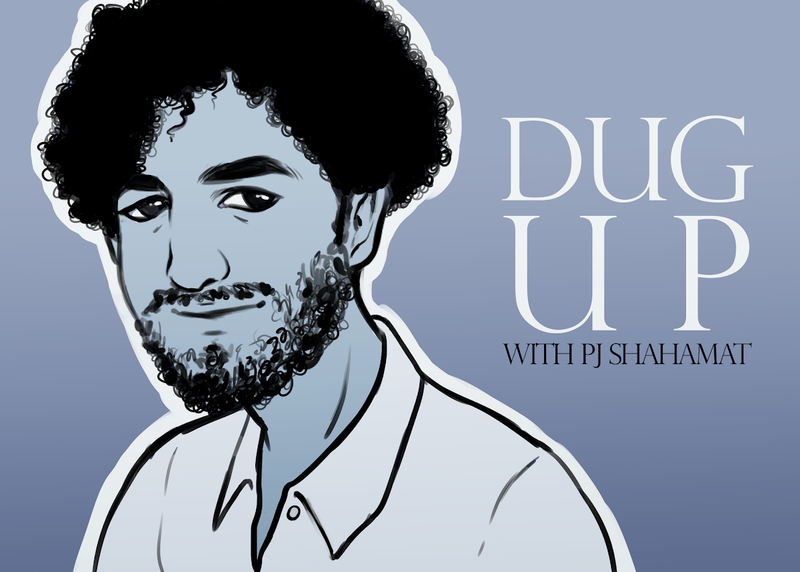 About six ideas were floating around, and there was even talk of a mostly-black design. The Matadome opened 51 years ago in the 1962-63 season, and Vazquez said the years of wear and tear made the stadium look dull. Vazquez feels the floor is not only beneficial for recruiting athletes, but for the university as a whole. Vazquez said this new court should last for the next 30 to 40 years, but he still treats it as if it were brand new. “Sometimes I find myself tip-toeing because I don’t want to scuff the floor,” Vazquez said.